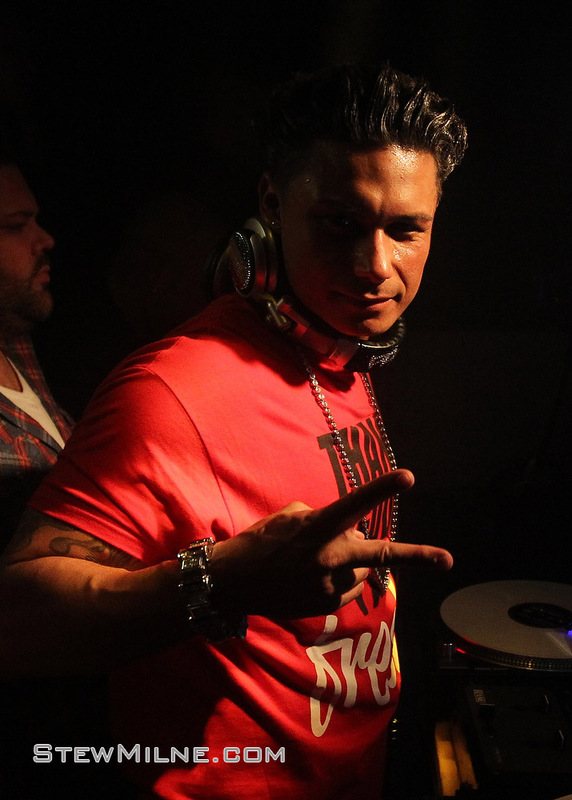 For the season finale of The Pauly D Project, Pauly D went back to Rhode Island to surprise his former high school by guest deejaying during their winter dance. 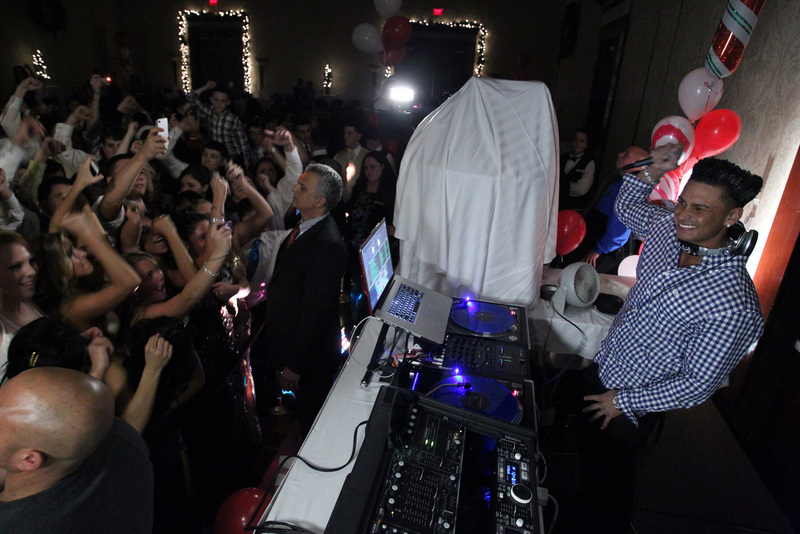 In preparation for the big night, Jerry and Biggie had a lot of setup at the hotel where the dance was being held. 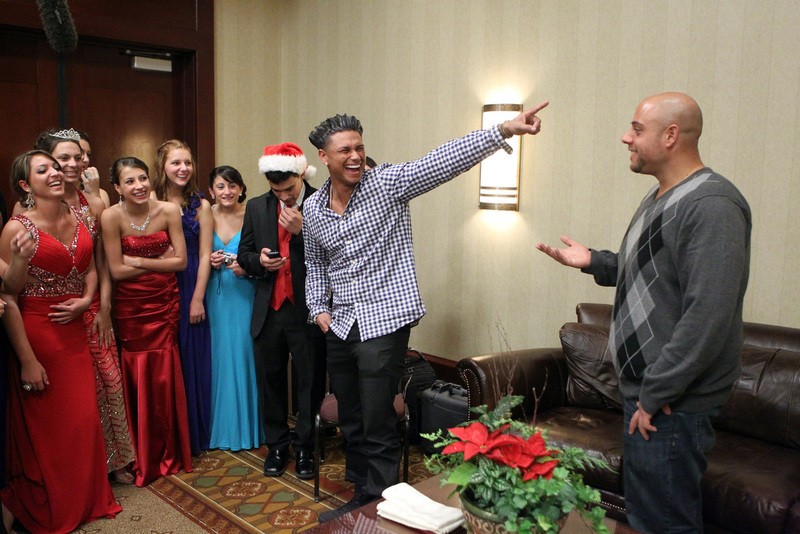 The students kept asking me and the 495 Productions crew if Pauly D was there. We had to tell them that their high school was picked to be part of an MTV show. For the most part they believed us. 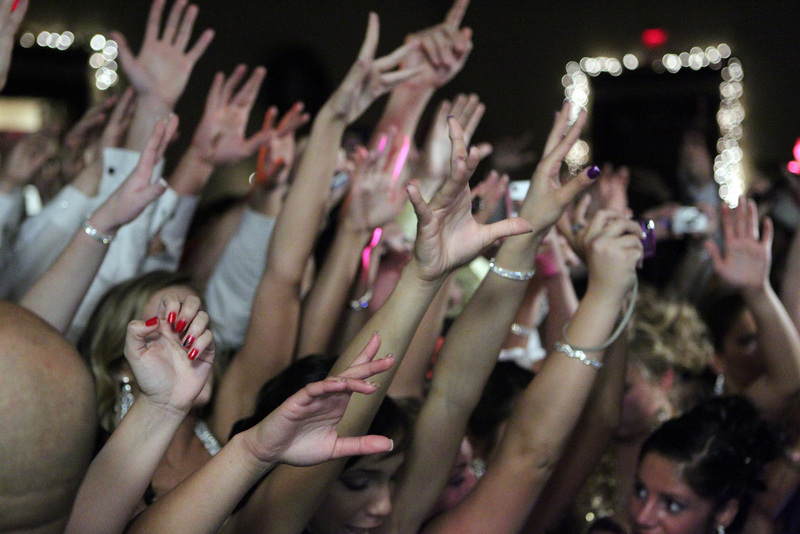 It’s a little hard to be discreet with 3 camera crews and a photog running around a high school dance. 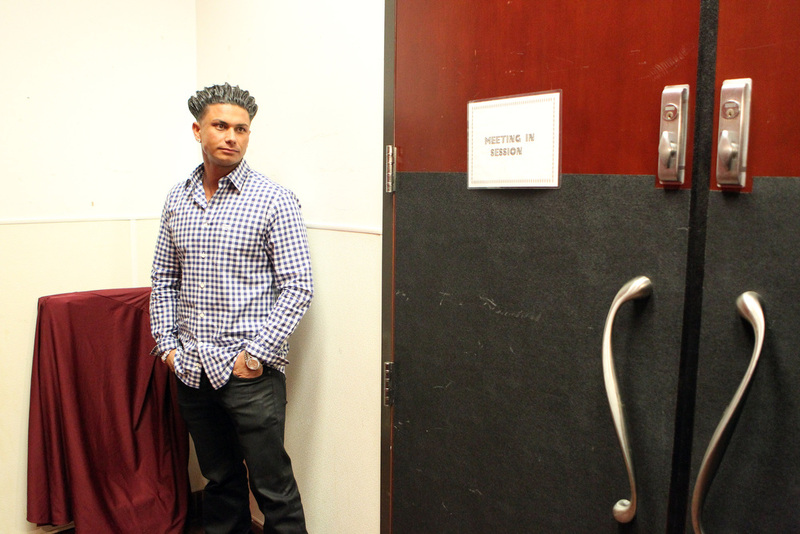 Pauly D waits to be announced to the crowd of high schoolers behind the double doors. 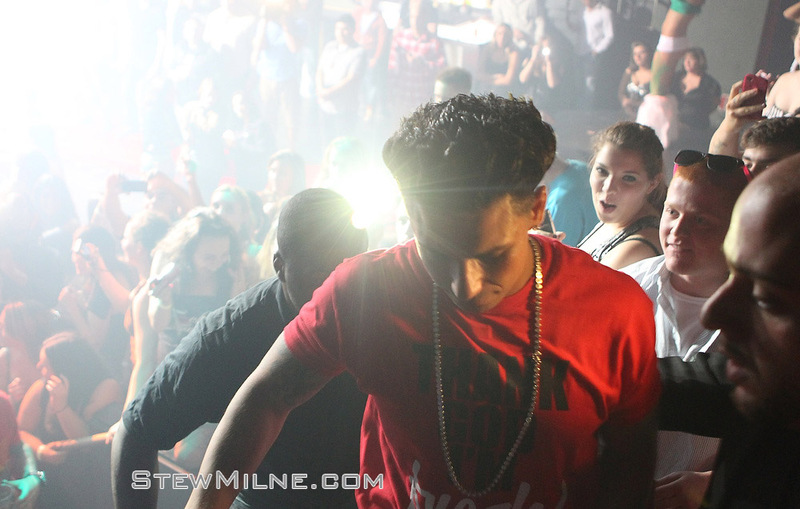 When Pauly D was announced, the kids stormed the stage and started taking photos and video. 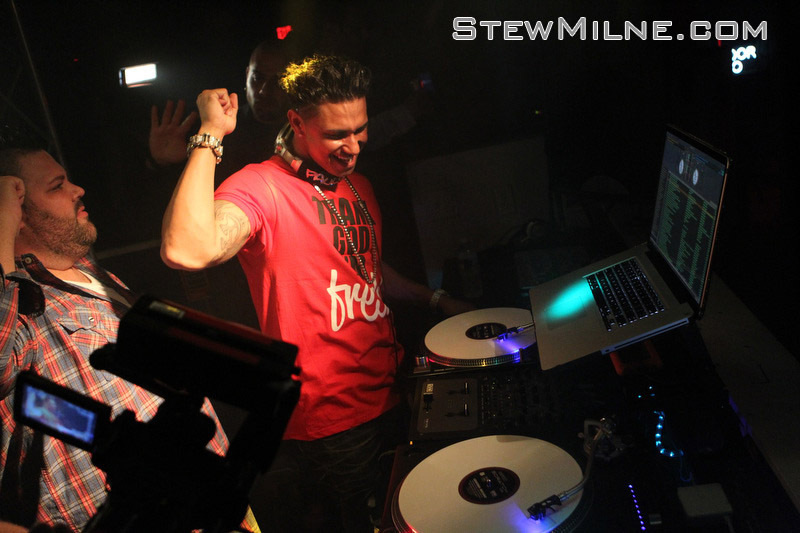 Security was good to keep back the screaming teenagers as Pauly D entertained them. 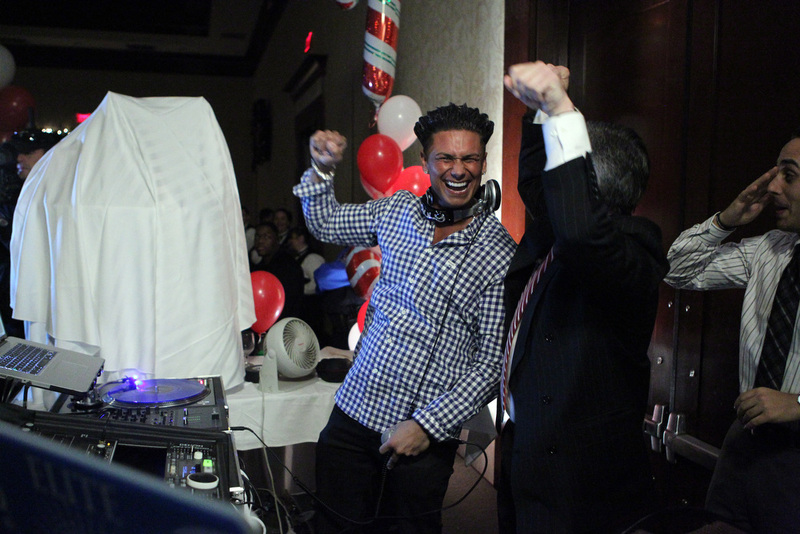 Pauly D and his biology teacher. 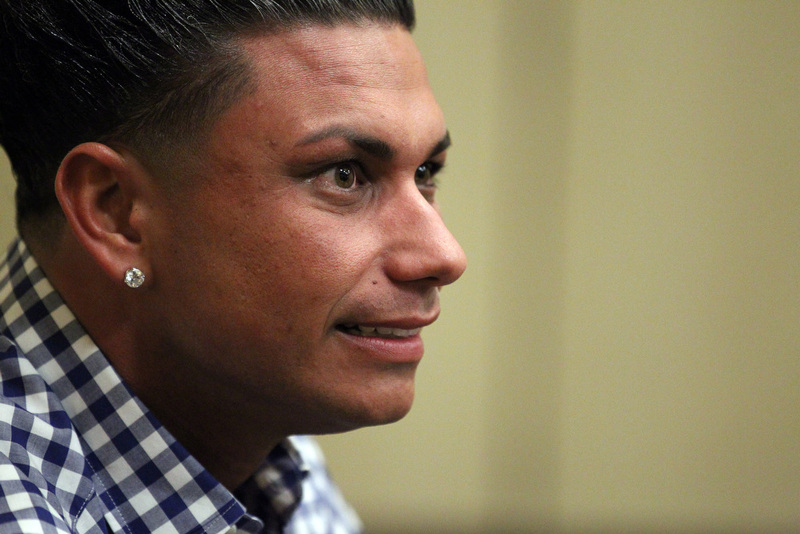 The day before Pauly D toured his old high school and talked with his old teacher. I’ll get those pix in another post soon. 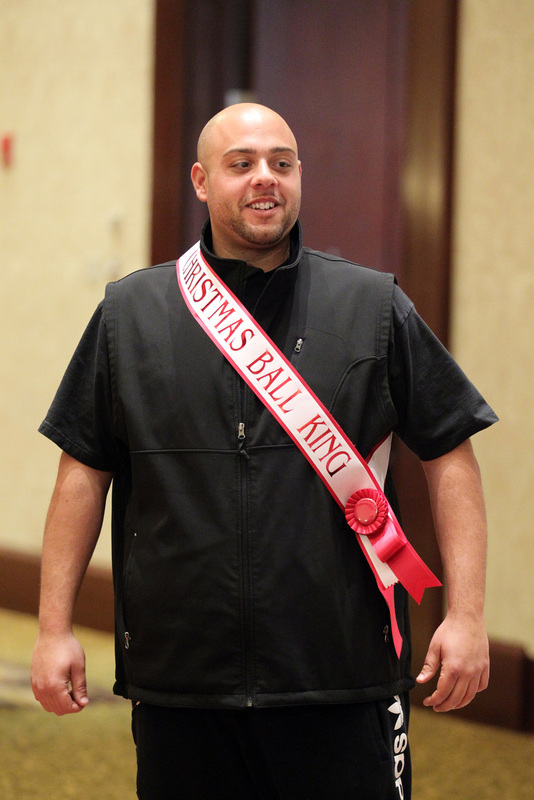 It was a successful night for Pauly and the crew. 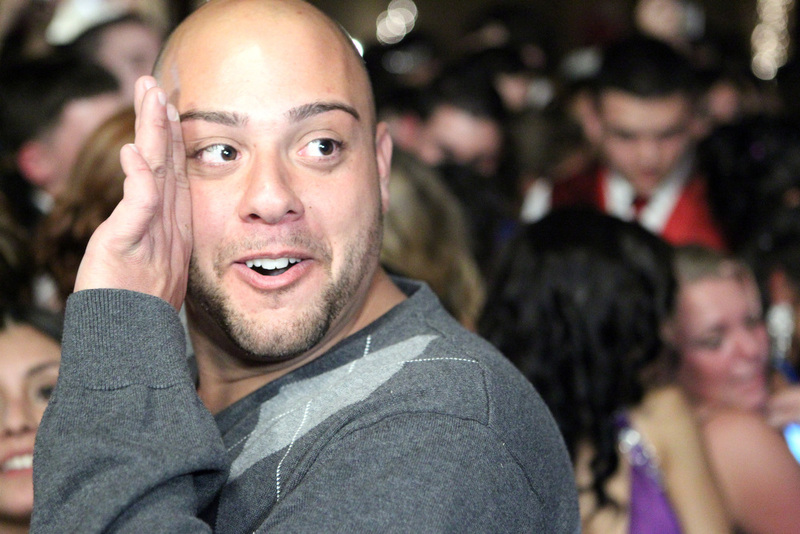 Jerry was surrounded by scantily clad screaming teenagers while he protected DJ Pauly D. Tough job. 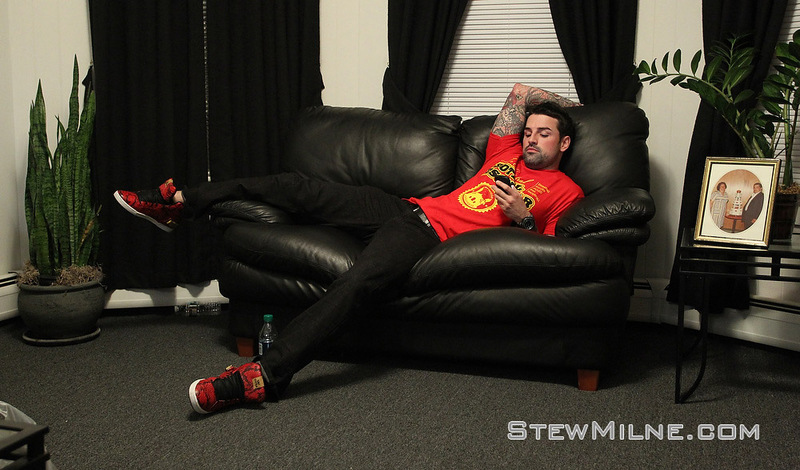 After the show Pauly and the crew went back to a secluded room, where they played keep away with Jerry’s shoe. Afterwards some of the students got to meet Pauly and the crew. 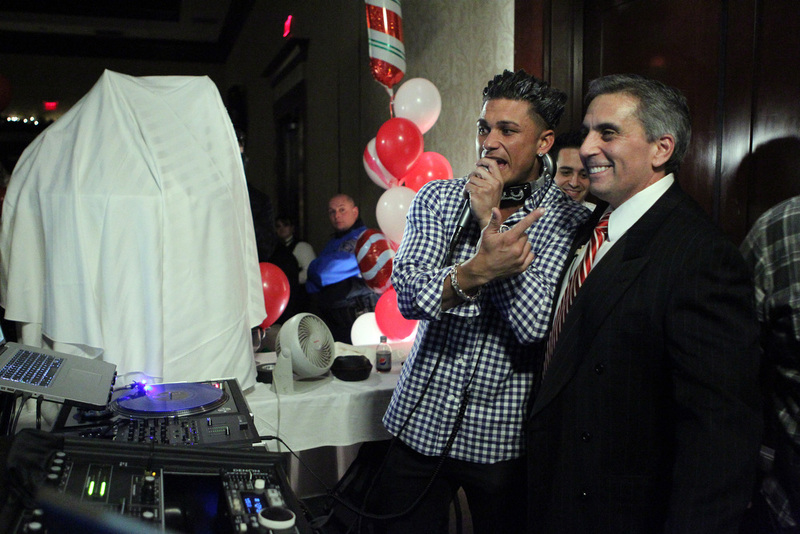 Here Pauly is making a joke about Jerry’s lack of hair. Pauly posed for photographs with all the students. Let’s hope there’s a season two. 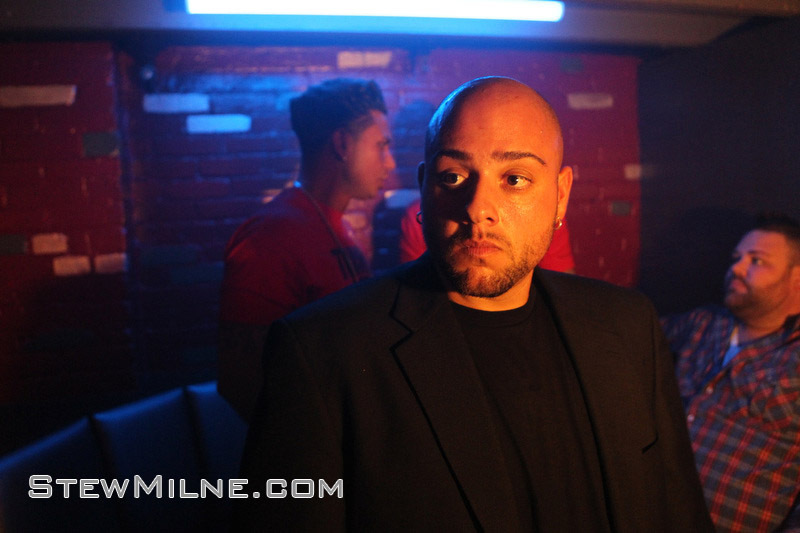 I had a great time shooting stills while they filmed the show in Rhode Island. Episode #3 appears to all take place in Vegas. I’m watching it as I type this. 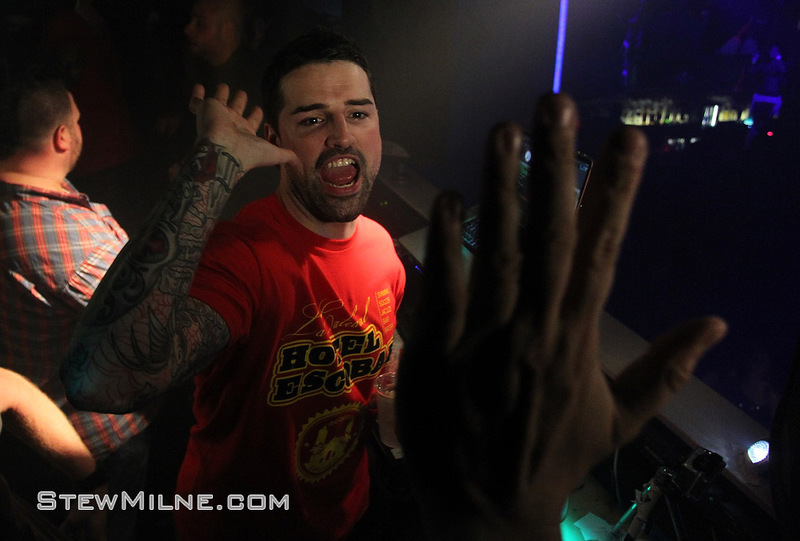 Since I don’t have any photos from Vegas, I’m just going to post a few more from Rhode Island. 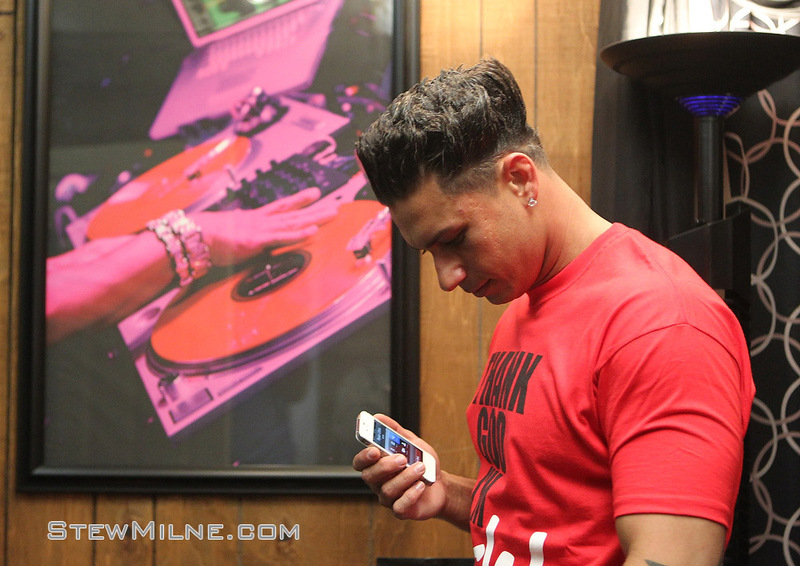 So here are some more behind the scenes photos of The Pauly D Project. 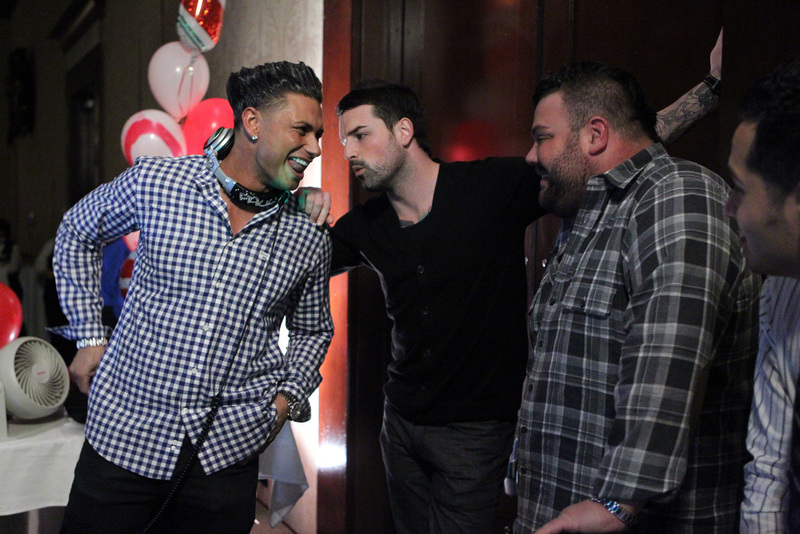 Just a small portion of the second episode was filmed in Rhode Island, but I thought you would all like to see more of Pauly D and crew. 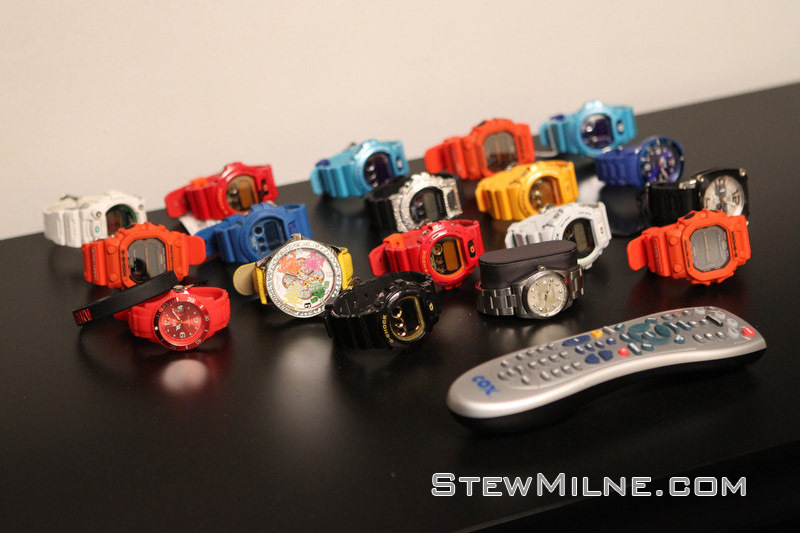 Above is a photo of Pauly’s watches. 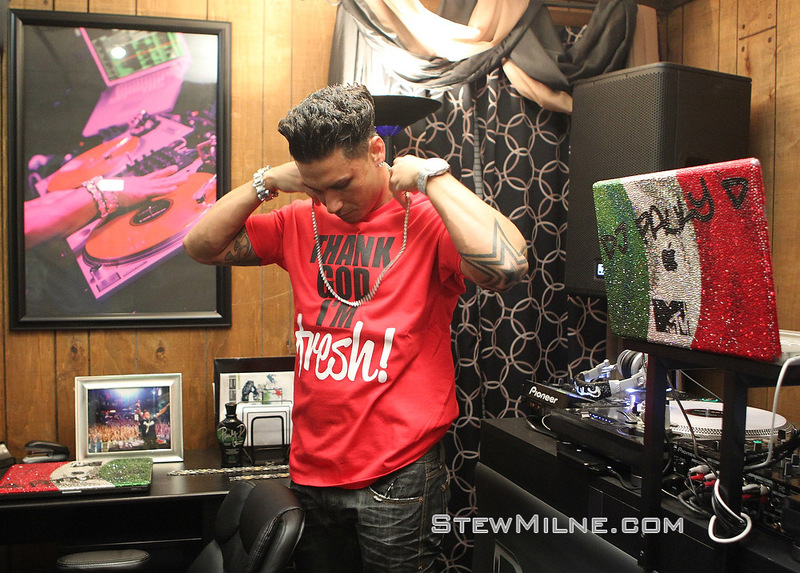 He has everything meticulously laid out in his house, from shoes, to hair products. Jerry and Ryan were over prior to all of them heading out to club Ultra. They were hungry so they ordered some food. It looks like Jerry is sticking to his diet. 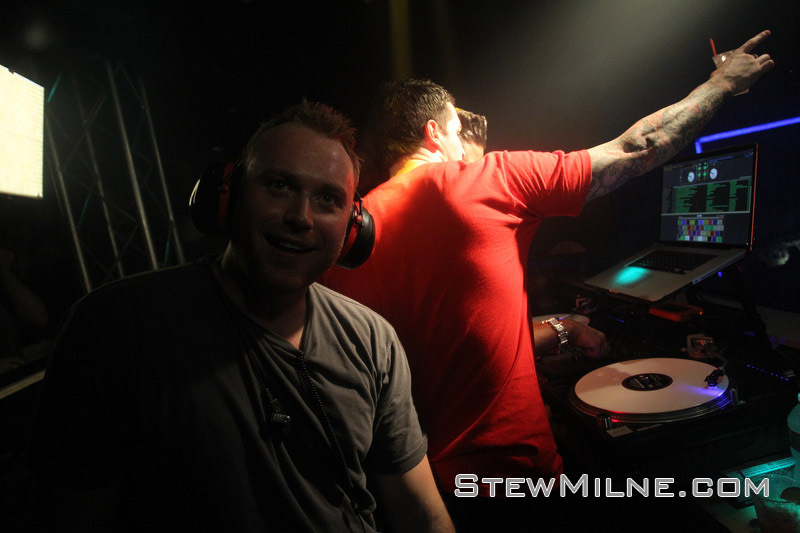 There are a lot of people that come with the 495 productions crew. I’m not sure where they all fit in Pauly’s house. Mostly in the kitchen, because no one ever really went in there. 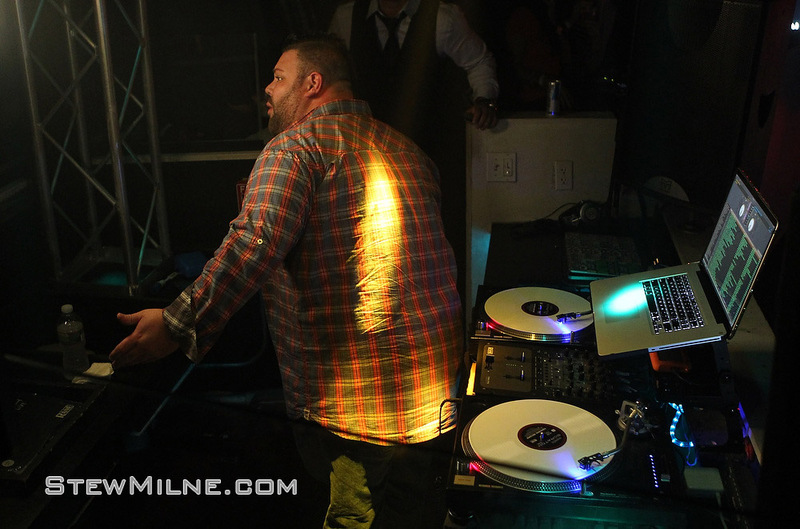 The tanning bed was a bit of a hazard. So Jerry decided to get a quick tan while waiting for the taxi. He shouldn’t leave his phone out for the other two to play with. 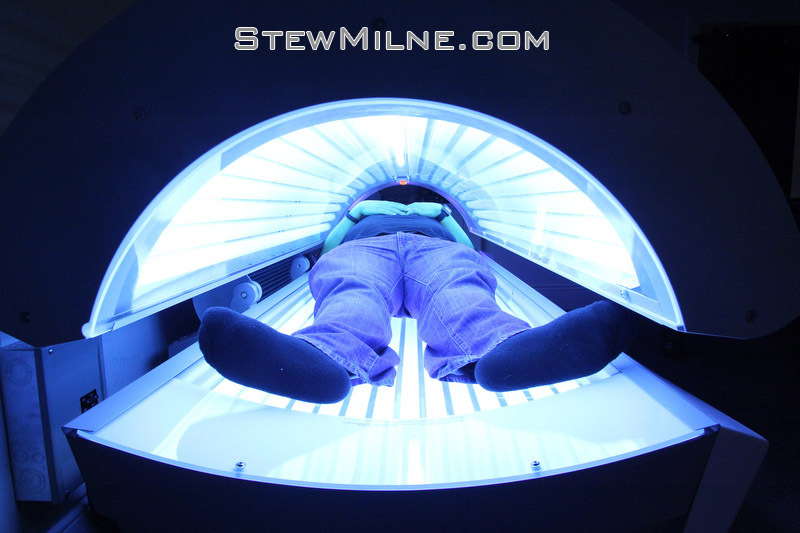 That’s Jerry in the tanning bed. I think he fell asleep. 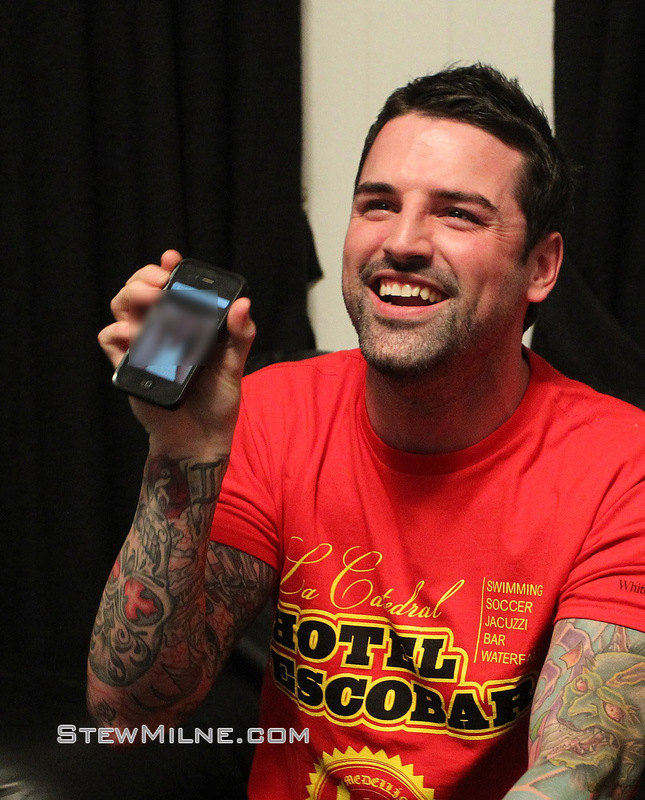 So while Jerry was tanning, Ryan and Pauly sent inappropriate tweets from Jerry’s phone. 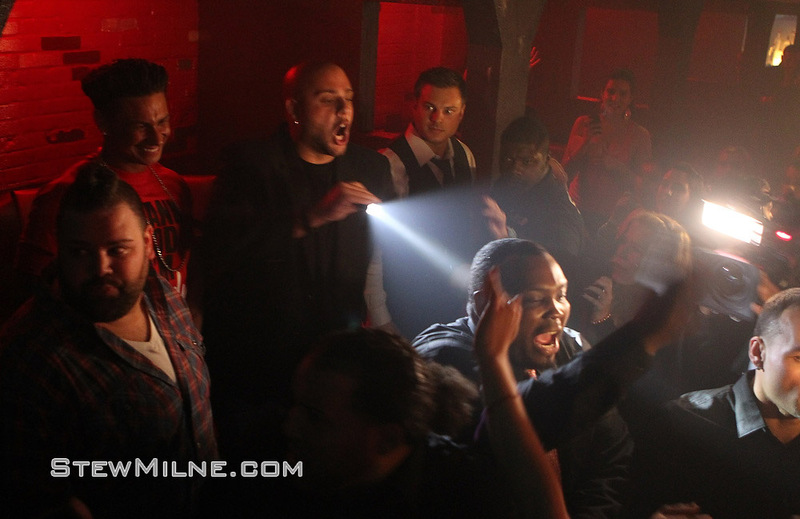 The gang finally made it to club Ultra, where Jerry was protecting Pauly and the crew from the mad fans. 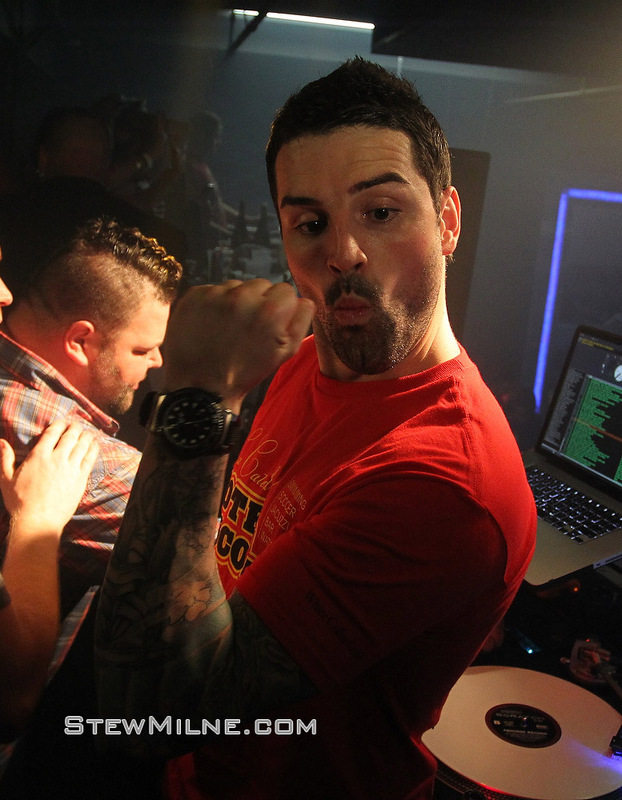 Having some fun at club Ultra. 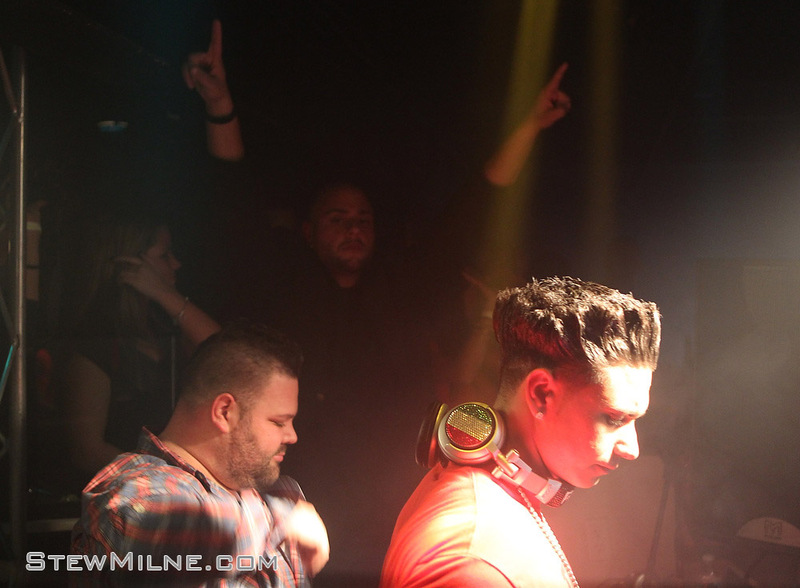 Biggie rocks with DJ Pauly D at club Ultra. 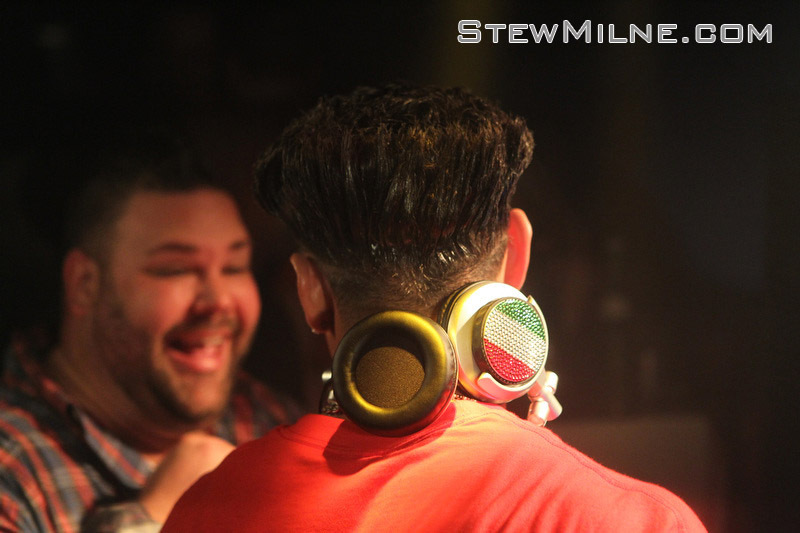 DJ Pauly D’s custom headphone. 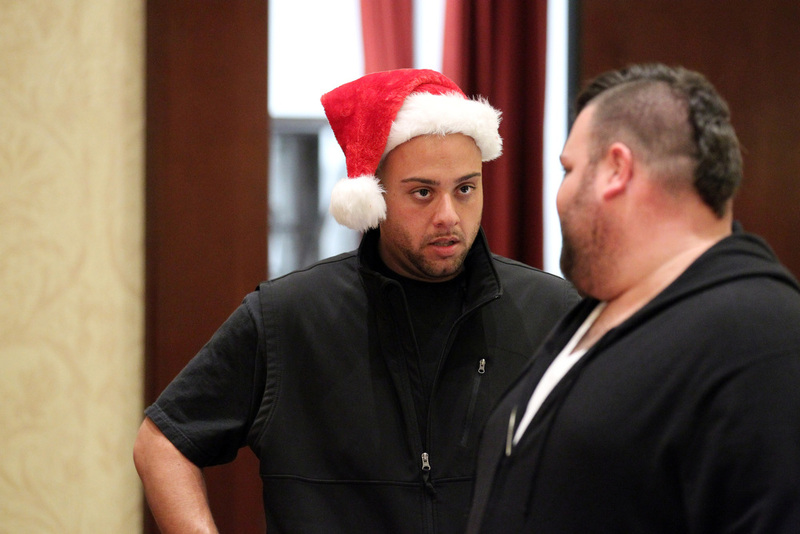 Part of the 495 Production crew pops up during shooting. 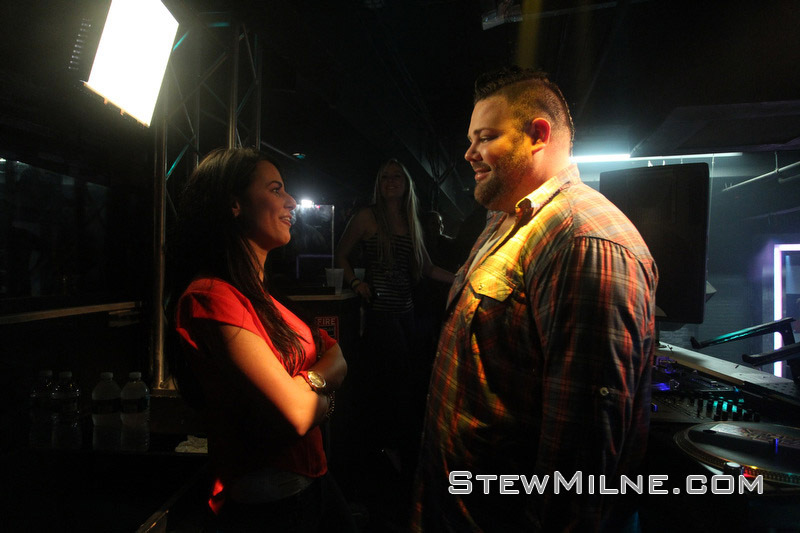 A nice moment between Biggie and his girlfriend Mary Jane after DJ Pauly D performed at club Ultra. 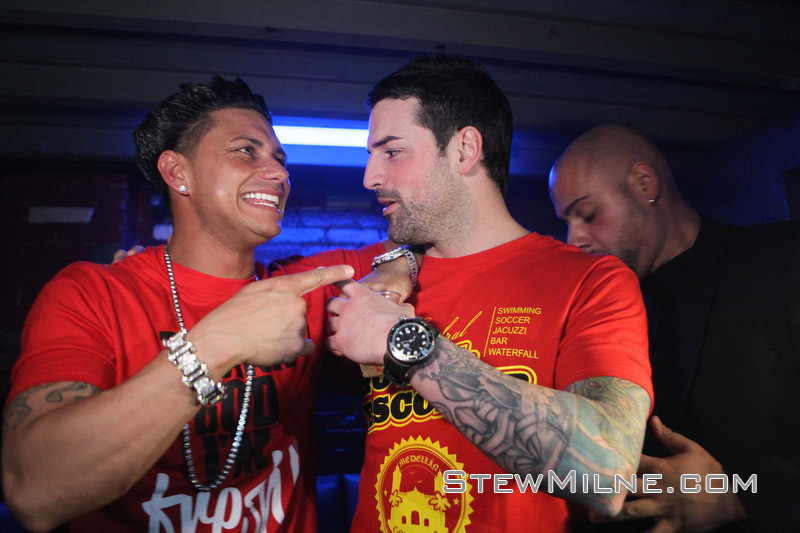 Pauly takes a photo with a fan after a hsow at club Ultra in Providence. So, not sure what next week will bring. 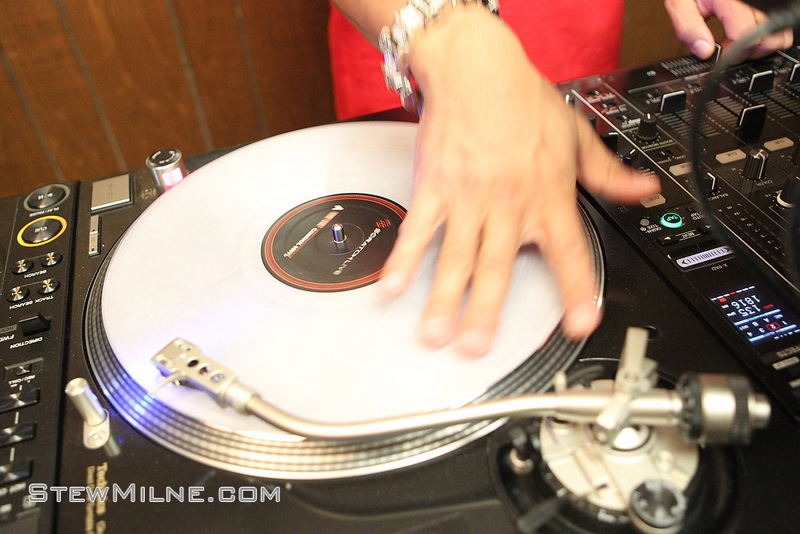 It all depends on the show.